How to customize the border style and appearance in the TextboxExt? 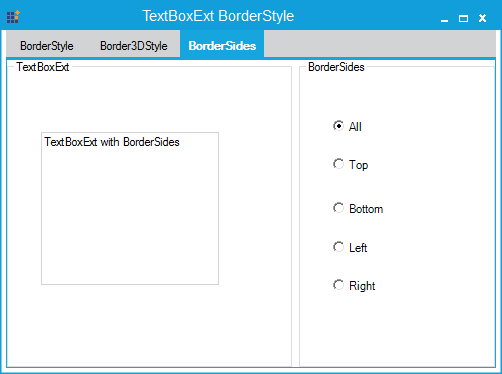 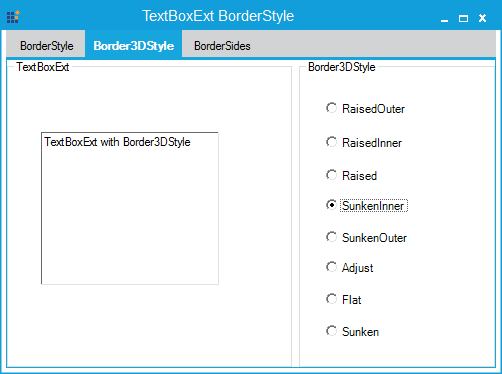 You can customize the border appearance of the TextBoxExt by using the following properties. 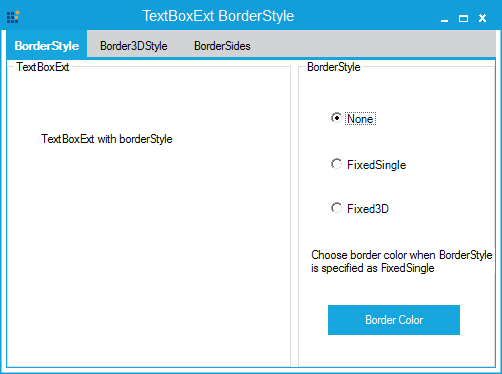 This property sets the single line bordercolor of the TextBoxExt, and can be used when the BorderStyle is specified as FixedSingle.